WordPress strictly discourage to update username/user_login. WordPress from long time were using shortcode to embed video from youtube, but since 2.9 they dynamically insert a object code on entering the url. Just you need to paste the link (without square brackets) and it will automatically convert to video. Here are the list of supported site http://codex.wordpress.org/Embeds. Wordpress provides a great power to customize most of the things via wordpress, like curd operations on admin menu’s, customizing admin bar (which will be covered in my coming posts). So today we would work with one of the awesome functionality by wordpress itself, like removing the unwanted menus from admin area. You might be thinking that we could simply hide it why to use the function, correct that’s also the way but remember always do the right way where ever you can. $menu_slug is the file name which is called on clicking of the menu, like for user operation wordpress call’s users.php. So if you pass users.php as a “menu slug” then it will remove the entire “Users” menu from admin area. Now you may be wondering that how will i remove the sub menu from the admin area. Simple, just use the following function with the php file name and the parent file name as specified below. Hope this helps.. Stay tuned for more …. Your would be very happy when it comes to crossdomain with ajax call. I have one of the solution to make a crossdomain successful with jsonp. The main problem for making a cross domain request is many browser has a security restriction as we cannot make any request other than the current domain. The solution is jsonp, but you might be thinking how does that work to0? I have created a test application in php to give a response to a get request. //some json generated via some logic. You can refer to the following screenshot. You can also check the domain from which i am calling. The domains have been changed via host file. 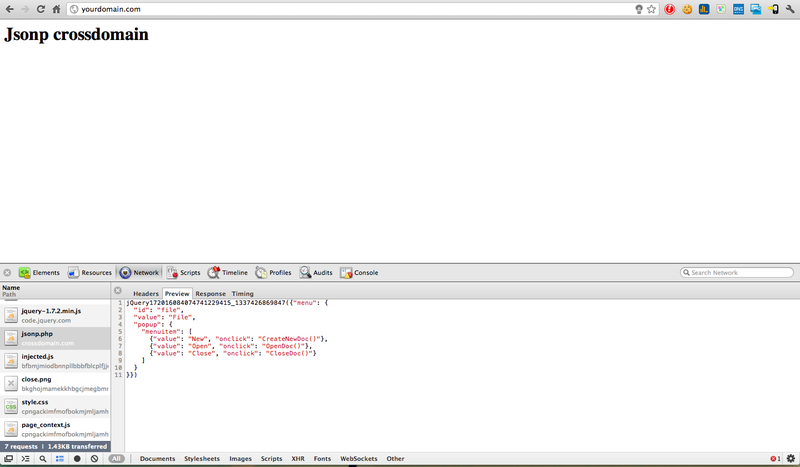 I will be implementing jsonp without getJson method. Hope this will save lot of your time .. I know you all be so happy to see the title of the post. Yes there is a solution for adding a redirect after being logout. It seems so simple. When we look at the url it works properly with a parameter “redirect_to”. But whenever you try to use that it will always go to default wordpress login page. I researched and found out that domain mapping plugin is stopping it from redirecting. I tried fixing it in domain mapping itself but it was a waste of time . But then wordpress offers amazing power with hooks. Then i found out there is one hook where i could call a function after doing redirect. Hope this solution helps . Now the technology has reached the level where you can send kiss over internet to your loved once . So now you don’t have to wait for the loved once to com and meet you for your precious kiss unless you have some other option at home hehehe . So from this technology you can simulate French Kiss to a gr8 extent,actually i haven’t tried it but i would love to give a try .. 😀 So i am waiting for it to come it to the market hehehe . Thats y i love technology . There is a hardware required from both the side to do the kissing simulation over the internet .